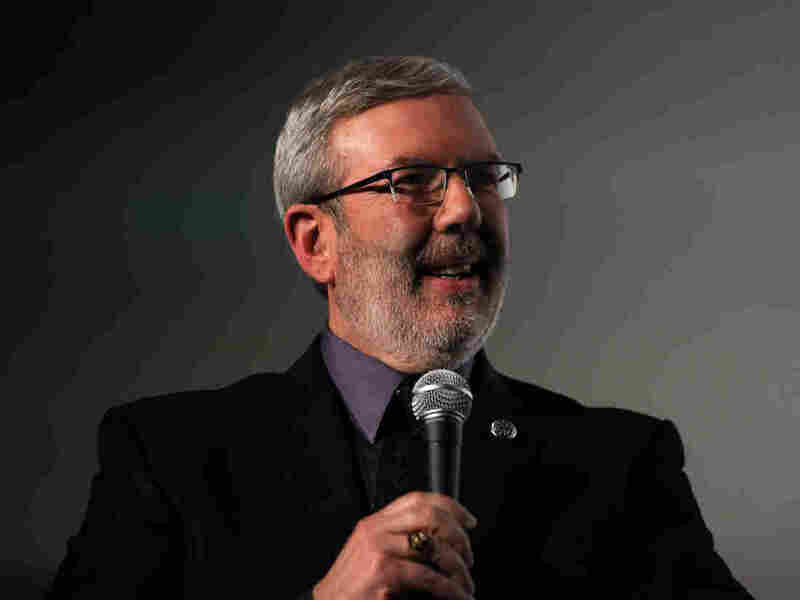 The Eternal Leonard Maltin: The Movie Guide That Gives And Gives Will Sloan says Leonard Maltin's annual movie guides may be brief and simple, but they've endured for a reason. When I was a kid, I awaited the annual publication of Leonard Maltin's Movie Guide with the awe and dread of a Parent/Teacher interview. Sure, film criticism is a subjective thing, but to my young eyes, the 16,000+ capsule reviews in Maltin's yearly reference book carried the weight of absolute truth. Each year, with the austerity of a poet and the precision of a diamond-cutter, Maltin and his army of cowriters pass swift, one-to-ten-paragraph judgment on hundreds of new films, and a small part of me will always believe the Guide is blessed with objectivity. This week saw the release of Leonard Maltin's 2013 Movie Guide, and yet again I find myself flipping through its pages, fearful that its opinions won't match mine. If I were to write my own Maltin-style review of the book, I'd probably call it "mainstream," "sensible," and "authoritative." "There's a 2013 Leonard Maltin movie guide?" critic Scott Weinberg recently tweeted. "Really? Like we still need micro-capsule reviews written by interns." In an IMDB/Rotten Tomatoes era, this is a charge Maltin probably tackles often, but he seems unfazed. "I think its role is the same," he says. "At the time it started, we wanted to offer concise capsule reviews and more information than you can get from the local newspaper listings. The only thing that's changed is, now we offer more information than you can get from that scroll in your TV set, and we hope more useful information than you can often find online." I daresay he's being modest. Flip to a random page (let's say ... page 900), and the judgments are almost uniformly respectable, and elegantly justified: Match Point: ***; Matchstick Men: ***; Material Girls: **; Matewan: ***½; The Matrix Revolutions: *½, etcetera. Most of the movies you'd expect to get four stars — Casablanca, Citizen Kane, City Lights, Singin' in the Rain — do, and the ***½ rating can encompass everything from Pulp Fiction to Enter the Dragon to Abbott and Costello Meet Frankenstein. For over 40 years, for cinephiles across the nation, Maltin's Guide has been nothing less than a canon of mainstream film culture. "I was looking up something one time about the movie Billy Elliott," Maltin says. "And someone on IMDB posted, and it was the highlighted consumer review: 'Worst movie ever!' Well, according to Joe Blow of East Overshoe, it was the worst movie ever. Well — how nice for you to be able to express your opinion to all of us. The democratization of the internet has many great attributes, but does that mean that everyone on YouTube who makes a film is a filmmaker? Or that everyone who posts their music is a musician?" Sure, it's true that underground, experimental, exploitation, and foreign films are under-represented, and yes, hundreds of pre-1965 titles have been ported over to Leonard Maltin's Classic Movie Guide. And yes, one may quibble that the four-star appraisal of The King's Speech is too kind, or the "BOMB — Lowest Rating" slam of Salo: The 120 Days of Sodom is too dismissive ("Pasolini, whose last film this is, wallows in his own sensationalism"). Yet, somehow, all of these quibbles seem broadly in line with the mainstream culture the Guide represents. It's a little comforting, for instance, that bizarre provocations like Freddy Got Fingered, Pootie Tang, and Mister Lonely receive the same "BOMB" as, say, Plan 9 from Outer Space. (I was secretly disappointed when Evil Dead II jumped from ** to *** — I liked better it when it was disreputable). Like an atlas or an encyclopedia, the Maltin Guide offers a framework within which to operate. And, as with any canon, Maltin's Guide can drive me absolutely bonkers; for as long as I can remember, complaining about its reviews has been a movie-buff tradition. "My dad bought the guide every year and now I do the same," says comedian Doug Benson, who plays 'the Leonard Maltin Game' on his podcast, Doug Loves Movies. "Whenever we'd watch a movie on TV, my dad would say, 'let's see what Leonard thinks.' Then we'd argue about how many stars we thought the movie deserved." Every year, I check to see if Maltin has changed the reviews that stick in my craw. No dice — Blue Velvet is still "terminally weird," In the Realm of the Senses is still "pretentious," and Alphaville remains "recommended for New Wave disciples only." Laserblast (**½) still rates higher than Blade Runner, Memento, and The Thing (*½), and even after all these years, Taxi Driver only merits a piddling ** ("It's undeniably influential to a generation of filmmakers; some scenes and images have become iconic. Judge for yourself"). Maltin says, "I think that because it is a guide, and some people use it as an objective guide, not a review guide, I think it's important that if we're voicing a minority opinion, that we acknowledge that. We don't have to back down from it, but we can say, this isn't what everybody thinks." The Guide has been in print since 1969, and updated annually since 1976 — first in the pre-VCR era as TV Movies, then Leonard Maltin's TV Movies and Video Guide after Maltin's visibility exploded as in-house critic on Entertainment Tonight. "It had a lovely impact on the book, because my publisher called and said, 'We've just had our sales conference for the fall titles, and we'd like to make two changes, if it's okay with you, to the cover.' I said, 'What?' He said, 'We want you name above the title and your picture on the cover.' I said, 'It's okay with me.'" Doug Benson says, "I think the Maltin Guide has lasted longer than similar books because everyone knows Leonard's smiling face from TV, and he presents his opinions in such a reasonable and friendly manner." Such is the curious nature of the Guide: it is simultaneously anonymous and distinctive, authoritative and personal. Its prose is so spare, rarely betraying biases or eccentricities, but the book lives so long precisely because every page has Maltin's unmistakable presence. 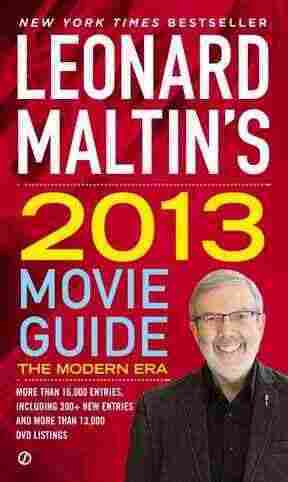 This is the book's ultimate paradox: the Leonard Maltin of Leonard Maltin's 2013 Movie Guide is both God and Man.